As budget concern homeowner, we always check the price of the item if the price will fit to our budget. Rearranging your furniture can help create a new ambiance in a room without buying a new set of furniture. For window cover, it is necessary to provide a functional, chic yet inexpensive window cover and one of the most inexpensive blinds in blinds industry is Faux Wood Blinds. Faux wood blinds is cheaper than to a real wood blinds and it is the best alternative for it. It can actually transform your room into a more elegant one when combined with appropriate furniture, wall color and home motif. 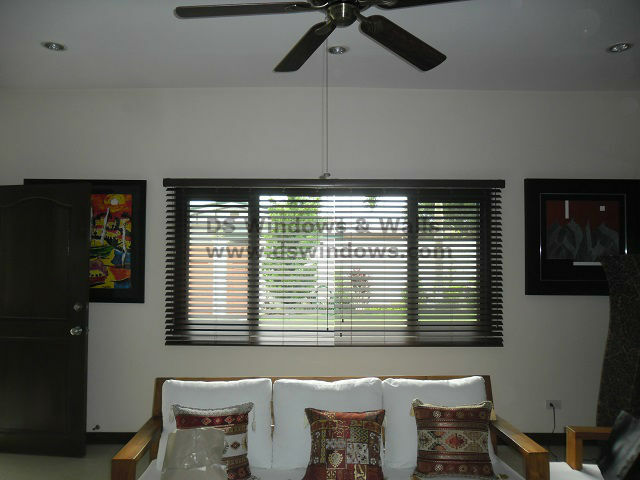 Our Client in East Wood, Libis, Quezon City wants a window blinds that is wood type, but he noticed that the real wood blinds is a bit expensive that is why he switched to its alternative which is faux wood blinds. Faux wood blinds stained with wood like color fit perfectly to his wood home motif and really looks like real wood blinds. In interior decoration, allow yourself to be creative and stylish and i am pretty sure that you will be happy with the outcome. In Ds Windows & Walls Interior Supply, we allow our customers to choose the style, color, and finish that perfectly fit to their home decorations. We can visit your location to accurately measure your windows and it is for free if you are within Metro Manila. 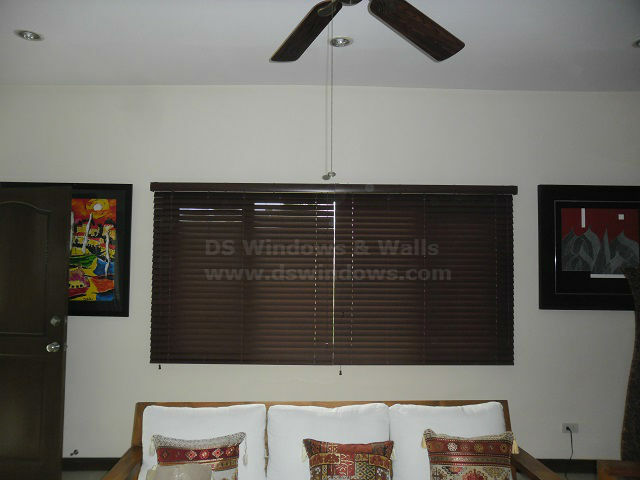 For more queries, call us at (02) 403-3262 / (02) 893-1373 / 0916-311-3909 or e-mail us at inquiry@dswindows.com. You can also visit our showrooms located at 4th Level Waltermart, Makati City, 3rd Level Robinsons Metro East, Pasig City and 2nd Level Pacific Mall, Lucena City. For Calabarzon area, you may contact Mr. Patrick Villapando at (Globe) 0917-583-0214 or (Sun) 0922-592-6111.